Something I’ve discovered about myself is that I really enjoy historical fiction, particularly if it’s set sometime between turn of the (20th) century and the American Jazz Age. And while I can’t say I’ve ever really been interested in knowing more about the criminal duo known as Bonnie and Clyde, their story definitely fits within the period that I enjoy reading and researching and so this seemed like it should be a good fit. But let’s be clear about one thing from the very start…this isn’t ‘historical fiction’ – that is…fiction based on a person or event from history. There was a Bonnie as part of ‘Bonnie and Clyde’ who robbed banks and such, but this Bonnie is only similar in name. The historical part was thrown out in order to tell a story. That’s okay…I’m just not sure why. Why take a figure that is rather recognizable and change the history to tell a different story? But… all that aside, I won’t rate the book because it doesn’t fit a particular genre. I’ll rate it based on whether it’s interesting and holds my attention. Here the book falls flat. Essentially we have 300 pages of a character study, showing the reader that Bonnelyn (the name made up) is a sweetheart and an honest, caring, upright citizen who ultimately gets married to someone who struggles and has fallen in with a bad crowd. Not Clyde, mind you. Bonnelyn doesn’t even meet Clyde through much of this book. The big problem is that the book is just plain boring. This set-up of character went on and on. An entire book simply setting up the action of a second book is bad enough, but there was nothing here in the character that could sustain this. This is a romance without any romance. This is Bonnie and Clyde without Clyde … without ‘Bonnie’ actually. Certainly not the Bonnie that robbed banks and killed people. Looking for a good book? 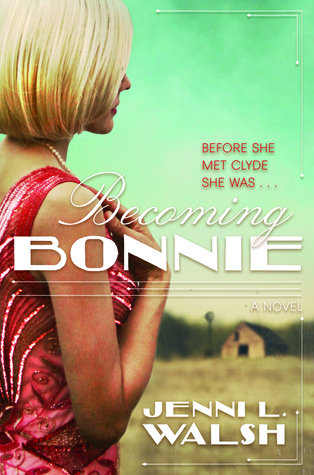 Becoming Bonnie by Jenni L. Walsh, is a slow historical romance without any romance.